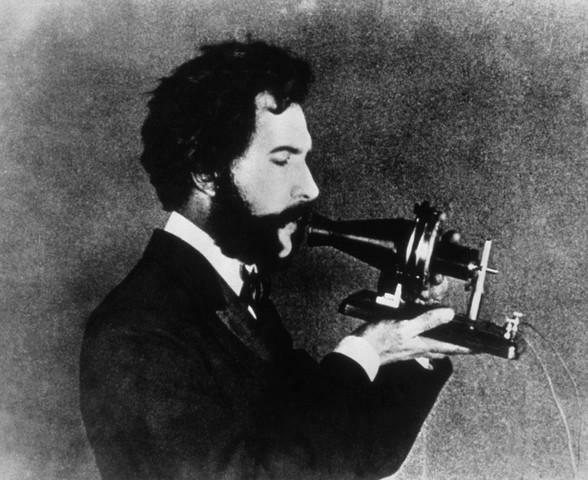 Today is the 171st birthday of Alexander Graham Bell. Your life today is different and better because of his inventions. The world is a better place because he was in it and still feels the loss that he has left. BEST KNOWN FOR: Alexander Graham Bell was one of the primary inventors of the telephone, did important work in communication for the deaf and held over 18 patent. Alexander Graham Bell was an eminent scientist, inventor, engineer and innovator who is credited with inventing the first practical telephone. Bell’s father, grandfather, and brother had all been associated with work on elocution and speech, and both his mother and wife were deaf, profoundly influencing Bell’s life‘s work. His research on hearing and speech further led him to experiment with hearing devices which eventually culminated in Bell being awarded the first US patent for the telephone in 1876. In retrospect, Bell considered his most famous invention an intrusion on his real work as a scientist and refused to have a telephone in his study. Many other inventions marked Bell’s later life, including groundbreaking work in optical telecommunications, hydrofoils and aeronautics. In 1888, Alexander Graham Bell became one of the founding members of the National Geographic Society. Bell has been described as one of the most influential figures in human history. Honors and tributes flowed to Bell in increasing numbers as his most famous invention became ubiquitous and his personal fame grew. Bell received numerous honorary degrees from colleges and universities, to the point that the requests almost became burdensome. During his life he also received dozens of major awards, medals and other tributes. These included statuary monuments to both him and the new form of communication his telephone created, notably the Bell Telephone Memorial erected in his honor in Brantford, Ontario‘s Alexander Graham Bell Gardens in 1917.